3rd post: Before I roll out my picks for the Top-10 Texas soccer stories from 2017 next week, I will share a few of Texas Soccer Journal’s favorites from the past year over the next few days. With all due respect to professional players at Texas clubs, it is hard to ignore the meteoric rise of Weston McKennie at FC Schalke 04 in the German Bundesliga. McKennie, a native of Little Elm, left Dallas for Schalke in 2016 with no compensation to FC Dallas, in whose Academy he had played his last years 7 years of youth soccer. Since arriving in Germany, McKennie has rapidly advanced from the FC Schalke youth program to the first team and now features as a starter for Schalke week in-and-week out. Additionally, he made his first appearance with the United States Men’s National Soccer Team in a friendly against Portugal last month. He is now being touted as one of the rising stars of a young U.S. team that will attempt to qualify for the 2020 Olympics and 2022 World Cup, hoping to put the disastrous failure to qualify for the 2018 World Cup in the rear view mirror. Put in this context, his choice as Texas Player of the Year is an easy one. Wilmer Cabrera did a remarkable job turning the Houston Dynamo around, taking a last place team in 2016 to the Western Conference Final. Nobody, however, overcame the kind of obstacles that Matt Barnes faced in the Sockers unlikely run to the National Premier Soccer League (NPSL) Final last year. The litany of challenges Barnes faced were immense. He started the season with a completely new roster. Rapidly losing his players throughout the year, he entered the playoffs with only a squad of 16, losing additional players along the way during the playoff run as they needed to return for the start of their college season. Despite it all, MOFC advanced through the playoffs, including road victories over Wichita FC and Detroit City FC. Because NPSL scheduled the league Final after the mandatory reporting date for college players, Barnes and MOFC staff were forced to round up players from all over the country to play the final in New Haven, CT. Barnes didn’t even know if they would have a real goalkeeper until the last few days before the match. Despite the cobbled together roster, the Sockers managed to keep the match close against a strong Elm City Express well into the second half. A remarkable job deserving of Coach of the Year. Anybody who predicted that the Houston Dynamo would end up in the 2017 MLS Western Conference Finals at the beginning of the year is either a soothsayer or is not being totally honest. The Dynamo completed a major overhaul after the last place finish in 2016 and, most importantly, hired Wilmer Cabrera to coach this newly strengthened roster. Full credit also to GM Matt Jordan, other Dynamo staff and Wilmer’s assistants for what turned out to be a remarkable season. The Dynamo finished on a roll, picking up 10 of the last 12 points available in the regular season. This earned a first-round home game and started a run that included a home victory over Sporting Kansas City and a stunning road win in the semifinals in Portland. A 5-0 aggregate series loss to Seattle in the conference final did not take any luster off the body of work throughout the season. 7 conference finals in the 12 years of the teams existence is quite a track record for the Houston Dynamo and it was good to see the team back in form after 3 years of non-playoff performances. There is no competition for this selection. I discussed some of the reasons for this choice in the Coach of the Year selection above and will have more detail on this remarkable story next week. The GM of the Elm City Express, the team that defeated the Sockers in the NPSL Final, said it all in this Tweet. Your staff and players showed class through a tough process. Thank you for representing the game the right way. This Plainview NAIA school was the only Texas four-year university team to win a national championship (Tyler JC won both the Men’s and Women’s championships too-a routine event). Less than 10 years in existence, the school went on an unlikely run to win the championship last month. 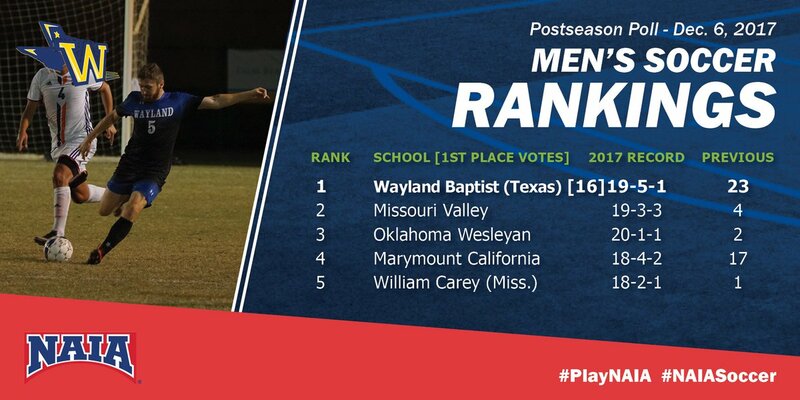 At the end of the regular season the Pioneers were ranked number 23 in the country. They entered the tournament as one of three unseeded teams to make it past the first round in the 32 team bracket. In the tournament they defeated six consecutive teams that were either in the Top 25 or had received votes. The Final was a pulsating 1-0 overtime win over Missouri Valley in Florida when Uruguayan midfielder Federico Ucar scored a golden goal 108th minute header to send the Pioneers to the schools first non-track and field championship since 1975. Most years this decision is easy…pick one of the FC Dallas youth teams or just pick the entire program-who usually win multiple trophies. Houston’s Texans SC changed the narrative this year when they won the US Soccer Development Academy U-17/18 championship on July 16 in Carson, CA-defeating the Los Angeles Galaxy Academy team 2-1 on their home turf. A feature article in the Houston Chronicle discussed this historic Championship win. Former MLS player and Texans Soccer Club U-17/18 head coach Eric Quill was named as a Coach of the Year by Top Drawer Soccer. Below is an interview with him done in late July by Soccer America. The Texans SC entered the playoffs as a wildcard team, completed a superb six match playoff run and are a deserving choice for Youth Soccer Club of the Year.